These tips can help start the conversation. Bring a list or notes on the topics you’d like to discuss. Rank your questions in order of importance. Invite a friend or family member to join you. This may make you feel more comfortable. A caregiver can also help take notes on your doctor’s responses. 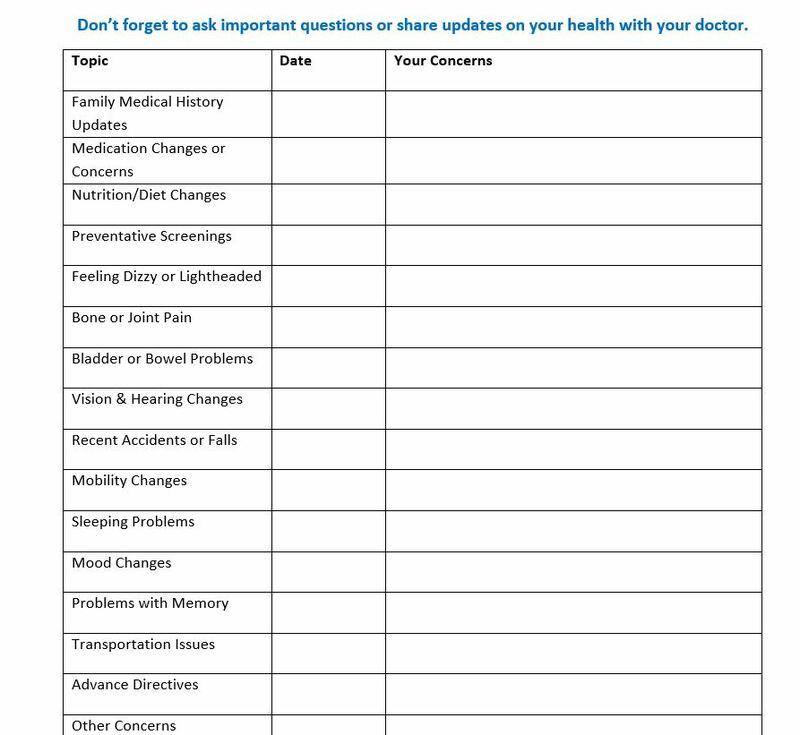 The table below can help you keep track of the topics you want to talk about with your doctor. Don’t be afraid to ask questions if you don’t fully understand what your doctor is saying. It’s important to ask your doctor to slow down and talk to you in plain language that YOU understand. Asking questions shows your interest, and also helps the doctor get to know you better. Ask your doctor if your prescribed medications have a generic alternative that might be cheaper. Ask about exercises that you can do at home to help you stay on track even when you don’t feel like leaving the house. Ask about any lifestyle changes that may help you avoid future disease. Ask what do any prescribed treatments mean for your health in the future. Bring up concerns even if your doctor does not ask about them. Let your doctor know if you have concerns about treatment options or changes in your daily life. Your doctor’s office is a safe space. Your doctor cannot tell others about what you discussed without your permission. For example, don’t be afraid or embarrassed to talk about changes with your bladder or bowels. 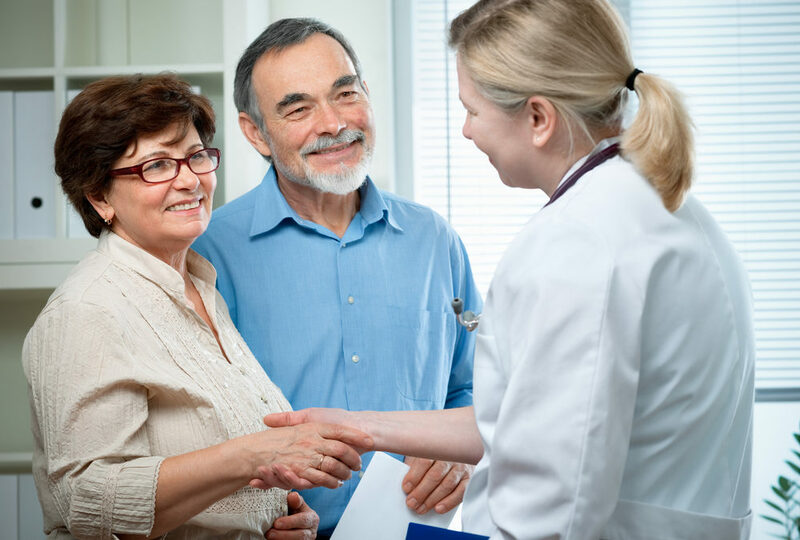 Although this conversation may be a little uncomfortable, it is important to let your doctor know about any changes you are experiencing. If you have health goals, share them with your doctor. When your doctor knows what you want to achieve, they’re better equipped to help get you there. To be proactive, create a sample plan of how you will achieve your health goals to show your doctor. List what is important to you. Your goal could be as simple as taking your dog for a walk without being out of breath or being able to play in the park with your kids or grandkids. Have an open discussion about how your doctor fits into your health plan. No matter how awkward you think a health topic may be, your doctor will always be your advocate. They are a resource to help you achieve your wellness goals. Keep these tips in your back pocket for your next wellness exam or appointment and don’t be afraid to start the conversation.